Four days after arriving at Lancaster University in its founding year, William Smethurst established Carolynne, the Bowland College newspaper. The ambitious, young student had learned a lot in his four days at the University, including the college rivalry that existed between the only two colleges at the time – Bowland and Lonsdale. And how to one up a rival? Launch a newspaper and heckle them in your editorial, which is exactly what Smethurst did. 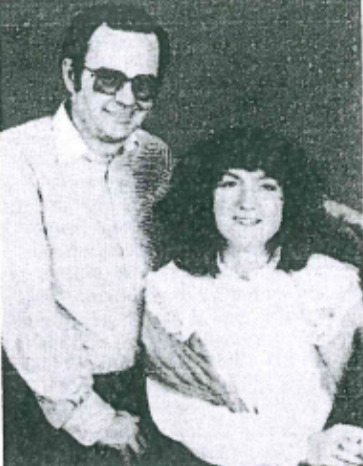 As for the name – not only had Smethurst organised a college newspaper in four days, but he’d also met a girl. Walking into an introductory ‘get-to-know-you’ session on the first day of Michelmas term in 1964, Smethurst met Carolynne Harmsworth, an eighteen year old from Kingston-upon-Thames. In his own words, “naming a magazine after the girl you fancy seemed a fairly clever, not to say stylish thing to do.” His efforts to impress certainly worked as, only slightly embarrassed, Carolynne and William later married, their engagement announced in a 1968 issue of Carolynne magazine. They went on to have a daughter, Henrietta, and for all accounts lived happily ever after until William’s death a few years ago. Carolynne, rather than a serious newspaper, was more of a magazine featuring campus gossip, humorous anecdotes – such as the regular feature ‘Diary of an Undergraduate’ – and opinionated coverage of student life and events that affected it. Comic portraits of staff were also included, as were in-jokes of the student community, think of it as the original ‘Overheard at Lancaster’. From 1967, each issue featured a ‘cover girl’, a female student photographed for the front page of the paper. With adverts from banks, the armed services and graduate-hunting big business crammed into every issue, Carolynne made a profit. The editorial team were able to invest in a typewriter and a camera, holding their meetings in expensive restaurants with the food and drink costs covered by the magazine funds*. With the January 1968 edition reporting a circulation of over 2,500, the magazine was rated the best student newspaper, second only to Oxford University. Due to its success, and perhaps students outside of Bowland finally getting their act together, a rival newspaper was created called the John O’Gauntlet. Described as ‘a vehicle for radical ideas’ it differed from Carolynne, as it tended to focus on the harsher aspects of university life and politics. There was however a re-occurring ‘Spot the Beard’ competition in which the beards of members of staff and students were photographed. Students wrote in with their guesses as to whom the beard belonged with prizes including a blind date with a named student, a five year supply of razorblades and a life size naked photo of someone named only as ‘Jog’. However, with the introduction of SCAN in 1967 and continued competition from other magazines, Carolynne stopped printing in December 1971, its 59th issue. John O’Gauntlet followed a year later as it too couldn’t compete with a free campus paper. It wasn’t until 2010 that Carolynne was seen in print on Lancaster University campus again. Receiving criticism that SCAN was too serious and not focusing on content relevant to Lancaster, editor Lizzie Houghton introduced an arts and lifestyle section that has grown to include sections on fashion and beauty, features and music. Intended to be a pullout from the main paper, “SCAN’s stylish and more light-hearted sister”, Houghton deemed it only fitting to name the magazine after the original Carolynne. Happy 50th birthday, SCAN and Carolynne, and long may you prevail! Copies of the original Carolynne and every copy of SCAN can be found in the archives of the University library. *I can assure you this is far from the case with the current SCAN Editorial Committee.